Goodyear is one of the leading tyre manufacturers in the world and their ability to make a great tyre is highlighted in their popularity among consumers. Their designs tick all the boxes for style, performance and durability and it's a range that definitely won't leave you asking for more. Manufactured to the highest standards, Goodyear tyres are perfectly suited for any situation and they don't compromise on performance or safety. Goodyear is a premium manufacturer of tyres and famous worldwide and they have been making tyres ever since the automobile was invented. This longevity has made them one of the iconic tyre manufacturers in the world and they have produced some high quality tyres for a range of vehicles, including 4x4's, trucks, cars and even Formula 1 race cars. The latest attempt by Goodyear to create cutting-edge designs was their new ‘intelligent tyre' which is designed to fit any car and work on any type of road - this is an example of how sophisticated their tyres are. What features would you commonly associate with Goodyear tyres? It can be something of a rarity to find a high-quality Goodyear tyre for a reasonable price, especially when you are trying to save money wherever you can. That's where the team at Easywheels can help you out, because our highly-trained mechanics can work alongside you to find the best deal available, so you can get a set of tyres that are safe and reliable. When tyres aren't maintained, it can be quite damaging for your car, as well as affecting your fuel consumption, so if you want to save money make sure you arrange a change today! For more information about finding affordable tyres for your car, then why not get in touch with us today on <a data-cke-saved-href="\\" href="\\&quot;tel:0333" 9000="" 201\\"="">0333 9000 201. 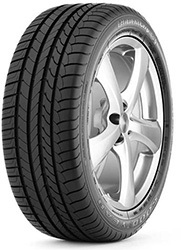 The Eagle F1 Asymmetric 2 tyre is known for performing as a high performance tyre.The tyre has a shorter braking distance in wet and dry conditons and also is highly ecconomical with regards to fuel consumption and wear & tear.With excellent handling and control the Goodyear Eagle F1 Asymmetric 2 will perform well and give the driver confidence in the tyre and on the road.This tyre is also available as a run flat in various sizes. The EfficientGrip Compact tyre is a true performer in wet conditions, with cutting edge technology this tyre performs better than most when it comes to reducing aquaplaning.The fuel efficiency levels are good and the noise levels are below average. All in all a pretty good tyre. The Good year UltraGrip Performance 2 is a winning tyre - tested amongst other tyres and coming up top trumps as a high performance tyre, this tyre really is a great perfromer.With excellent grip on wet and dry roads and extra aquaplaning technology you can rest assured that you are in for a safe, secure and comfy journey riding on the UltraGrip Performace 2.This tyre is also available as a run flat. The Good year UltraGrip Performance 2 MS is a winning tyre - tested amongst other tyres and coming up top trumps as a high performance tyre, this tyre really is a great perfromer. With excellent grip on wet and dry roads and extra aquaplaning technology you can rest assured that you are in for a safe, secure and comfy journey riding on the UltraGrip Performace 2 MS. This tyre is also available as a run flat. The Good year UltraGrip Performance 2 MS is an excellent tyre that performs time and time again. The Goodyear Cargo G24 tyre has been brought to the market for the Van and Light truck sector.The Goodyear Cargo G24 tyre has been designed to perform well and provide stable handling and cornering.The special zigzag tread pattern increases the grip on dry roads while helping the tyre to remain in control when the roads are wet.The Goodyear Cargo G24 has strengthened sidewalls which enable the tyre to take heavier loads while still keeping its performance to a premium.A great tyre that performs when you need it. The Goodyear Cargo G26 tyre makes up part of the Van and light truck range from Goodyear.The Goodyear Cargo G26 tyre is know for its excellent handling while under a heavy load and the tough nature of the tread, which retains grip and stability when out on the open road.The Goodyear Cargo G26 tyre is a great performing tyre that will give the driver confidence on the road. The Goodyear Cargo G28 tyre come from the Van and Light truck range from Goodyear.With many attributes making it the tyre ti is, its easy to see why the The Goodyear Cargo G28 tyre is so popular with drivers.The The Goodyear Cargo G28 benefits from great grip in wet and dry conditions, along with tyre tread technology that will reduce the chances of aquaplaning when on the road.All of this combined with added comfort and control makes the Goodyear Cargo G28 a great tyre that can be trusted and relied upon. The Goodyear Cargo G91 tyre is part of the Van and Light truck range from Goodyear.The Goodyear Cargo G91 really comes into its own when its under large heavy loads.The tyre design is robust and able to withstand high pressure while maintaining great control and handling on the road.The carcass of the stell is all-steel which increased the toughness of the tyre and increases the life of the tyre.Expect the get a lot for your money with he Goodyear Cargo G91.An excelllent tyre that will never let you down. The Goodyear Cargo UltraGrip 2 tyre is an excellent winter tyre for Vans and Light trucks.Known for exceptional handling and control in winter conditions the Goodyear Cargo UltraGrip 2 will retain grip when driving in snow, ice, muddy and wet weather.The Goodyear Cargo UltraGrip 2 also boasts a high level of comfort and low noise emmissions, making the tyre a very quiet ride.The Goodyear Cargo UltraGrip 2 is also able to carry high load quanitities due to its robust construction. 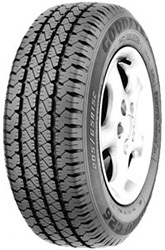 The Goodyear Cargo UltraGrip 7 is an excellent winter tyre that has been specifically designed for the Van and Light Truck market. The Goodyear Cargo UltraGrip 7 will retain good grip in all conditions and keep the driver in full control on the road. 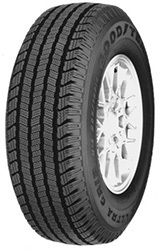 The Goodyear Cargo UltraGrip 7 is an excelllent tyre that will perform all winter long. 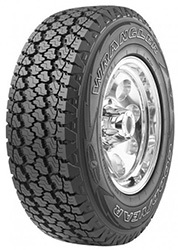 The Goodyear Cargo UltraGrip G124 tyre is an ultimate Van and Light truck winter tyre. This tyre has been brought to the market to take on the most harsh conditions on the road.The Goodyear Cargo UltraGrip G124 is an out and out top performing winter tyre.The Goodyear Cargo UltraGrip G124 has been constructed with an all-steel carcass that gives it extra strength to carry heavy loads.The tread pattern on the Goodyear Cargo UltraGrip G124 has been escpecially created to retain grip in wet, snow, ice and muddy conditions.If you are after extra grip you can also add studs to the tread which will increase the traction control of the tyre.The Goodyear Cargo UltraGrip G124 also boasts great handling and stability all year round. The Goodyear Cargo UltraGrip G46 is part of the Van and Light Truck winter tyre range from Goodyear.The tyre has many attributes which add to the performance of the tyre.With excellent grip in wet, snow and icey conditions the tyre will remain in control on the road throughout the winter months.The Goodyear Cargo UltraGrip G46 has been constructed with an all-steel carcass which gives the tyre extra strength to be able to withstand heavy loads.If you need that extra bit of grip, you can add studs to the tread.The Goodyear Cargo UltraGrip G46 is a top performing commercial winter tyre. The Goodyear Cargo UltraGrip tyre is a winter tyre designed for the Van and Light truck market.The Goodyear Cargo UltraGrip will retain grip on wet, snow and icey conditions while giving the driver excellent control and handling as the terrain gets worse.The tread pattern has been designed to reduce the risk of aquaplaning and expells any water, snow or ice from the tread as it moves along the road.The Goodyear Cargo UltraGrip has been produced with an all-steel carcass which enables the tyre to perform well under heavy loads while maintaining control and grip on the road.The Goodyear Cargo UltraGrip is an excellent winter tyre to have on a Van or Light truck. The Goodyear Cargo Vector 2 MS is an excellent van and light truck tyre from Goodyear.With outstanding performances in the dry and wet conditions.The Goodyear Cargo Vector 2 MS will give the driver great handling and response.The Goodyear Cargo Vector 2 MS will give all year round performance and with the long lasting tread pattern will keep going for mile upon mile.The Goodyear Cargo Vector 2 MS is noted for having particularly good performance in Mud and snow, hence the MS. The Goodyear Cargo Vector is an excellent van and light truck tyre from Goodyear.With outstanding performances in the dry and wet conditions.The Goodyear Cargo Vector will give the driver great handling and response.The Goodyear Cargo Vector will give all year round performance and with the long lasting tread pattern will keep going for mile upon mile. 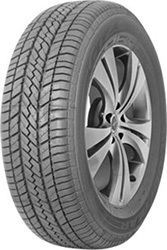 The Goodyear Duragrip is designed for the everyday car.It has great Fuel efficiency and is capable of covering greater miles than other tyres on the market.The handling and general ride of the tyre is great, this added with the reduced noise emmissions from the tyre will really make you appreciate the quality of the tyre.This tyre comes in various sizes and performs well in wet and dry conditions.This is a summer that can be used all year round. The Goodyear Eagel F1 Asymmetric SUV AO has not only a long title but a long list of features that make it the tyre it is! 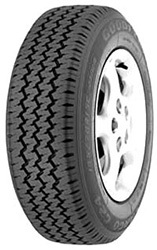 This tyre comes with High performance, excellent cornering capabilities and added wet weather and aquaplaning technology.Not only does this tyre delivery a safe and smooth ride it also comes as a run flat in certain sizes.The Goodyear Eagel F1 Asymmetric SUV AO is a Ultra performance tyre that doesnt disapoint.The Goodyear Eagel F1 Asymmetric SUV AO has been designed for the Audi range. The Goodyear Eagel F1 Asymmetric SUV has not only a long title but a long list of features that make it the tyre it is! This tyre comes with High performance, excellent cornering capabilities and added wet weather and aquaplaning technology. Not only does this tyre delivery a safe and smooth ride it also comes as a run flat in certain sizes. The Goodyear Eagel F1 Asymmetric SUV is a Ultra performance tyre that doesnt disapoint. The Goodyear Eagel F1 Asymmetric SUV N0 has not only a long title but a long list of features that make it the tyre it is! 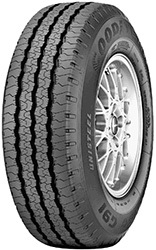 This tyre comes with High performance, excellent cornering capabilities and added wet weather and aquaplaning technology.Not only does this tyre delivery a safe and smooth ride it also comes as a run flat in certain sizes.The Goodyear Eagel F1 Asymmetric SUV N0 is a Ultra performance tyre that doesnt disapoint.The Goodyear Eagel F1 Asymmetric SUV N0 tyre has been developed for Porsche vehicles. The Goodyear Eagle F1 Asymmetric AO tyre has a pedegree background, the tyre came about through the technology used on the Goodyear racing tyres.The Goodyear Eagle F1 Asymmetric AO is typically used on high performance vehicles that need that extra grip for fast cornering and control on the road.The asymmetric grip on the Goodyear Eagle F1 Asymmetric AO helps the tyre to maintain grip and contact with the road enabling the tyre to corner at high speeds but maintain grip at the same time.The Goodyear Eagle F1 Asymmetric AO has good handling in the wet and dry and will give the driver a smooth and quiet ride.An excellent high performance tyre that will give you exactly what you need from a tyre.The Goodyear Eagle F1 Asymmetric AO tyre has been developed for the Audi range. The Goodyear Eagle F1 Asymmetric MOE tyre has a pedegree background, the tyre came about through the technology used on the Goodyear racing tyres.The Goodyear Eagle F1 Asymmetric MOE is typically used on high performance vehicles that need that extra grip for fast cornering and control on the road.The asymmetric grip on the Goodyear Eagle F1 Asymmetric MOE helps the tyre to maintain grip and contact with the road enabling the tyre to corner at high speeds but maintain grip at the same time.The Goodyear Eagle F1 Asymmetric MOE has good handling in the wet and dry and will give the driver a smooth and quiet ride.An excellent high performance tyre that will give you exactly what you need from a tyre.The Goodyear Eagle F1 Asymmetric MOE has been developed for the Mercedes range of vehicles. 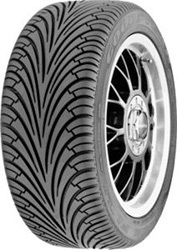 The Goodyear Eagle F1 Asymmetric N0 tyre has a pedegree background, the tyre came about through the technology used on the Goodyear racing tyres.The Goodyear Eagle F1 Asymmetric N0 is typically used on high performance vehicles that need that extra grip for fast cornering and control on the road.The asymmetric grip on the Goodyear Eagle F1 Asymmetric N0 helps the tyre to maintain grip and contact with the road enabling the tyre to corner at high speeds but maintain grip at the same time.The Goodyear Eagle F1 Asymmetric N0 has good handling in the wet and dry and will give the driver a smooth and quiet ride.An excellent high performance tyre that will give you exactly what you need from a tyre.The Goodyear Eagle F1 Asymmetric N0 tyre has been brought to the market for Porsche vehicles. The Goodyear Eagle F1 Asymmetric tyre has a pedegree background, the tyre came about through the technology used on the Goodyear racing tyres.The Goodyear Eagle F1 Asymmetric is typically used on high performance vehicles that need that extra grip for fast cornering and control on the road.The asymmetric grip on the Goodyear Eagle F1 Asymmetric helps the tyre to maintain grip and contact with the road enabling the tyre to corner at high speeds but maintain grip at the same time.The Goodyear Eagle F1 Asymmetric has good handling in the wet and dry and will give the driver a smooth and quiet ride.An excellent high performance tyre that will give you exactly what you need from a tyre. The Goodyear Eagle F1 GS tyre has been brought to the market as a high performance tyre suitable for sports cars.This tyre has now been surpassed buy the Eagle F1 GS-D2 and the Eagle F1 GS-D3. The Eagle F1 GS is an epic tyre with excellent grip and cornering control at high speeds. The Goodyear Eagle F1 GS-D2 is an ultimate performance tyre that has been brought to the market for super cars looking for extra grip and control at high speeds.This is exactly what you will get from theGoodyear Eagle F1 GS-D2.A high level of performance at high speeds in both dry and wet conditions.The Goodyear Eagle F1 GS-D2 has now been surpassed by theGoodyear Eagle F1 GS-D3. The Goodyear Eagle F1 GS-D2 is an ultimate performance tyre that has been brought to the market for super cars looking for extra grip and control at high speeds. This is exactly what you will get from the Goodyear Eagle F1 GS-D2. A high level of performance at high speeds in both dry and wet conditions. 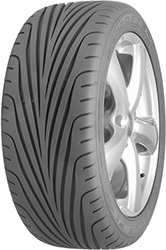 The Goodyear Eagle F1 GS-D2 has now been surpassed by the Goodyear Eagle F1 GS-D3. The Goodyear Eagle F1 GS-D3 MOE tyre really is the real deal.It has been voted the best in the market and it got this accolade by having epic all round performance in both wet and dry conditions as well as brilliant handling and control on the road.The directional tread pattern enables the tyre to have a reduced braking distance and great directional control when steering at high speeds.The tread life of the tyre is also very good which means you will have a tyre that lasts longer than other competitors on the market.The Eagle F1 GS-D3 MOE has been especially designed for the Mercedes AMG range. The Goodyear Eagle F1 GS-D3 tyre really is the real deal. It has been voted the best in the market and it got this accolade by having epic all round performance in both wet and dry conditions as well as brilliant handling and control on the road. The directional tread pattern enables the tyre to have a reduced braking distance and great directional control when steering at high speeds. The tread life of the tyre is also very good which means you will have a tyre that lasts longer than other competitors on the market. The Goodyear Eagle F1 Supercar is a pretty specific tyre that has been especially designed for top end sports cars like; the Ford GT, Chevrolet Corvette and the Chrysler 300c SRT.This tyre can also be used on other vehicles.The Goodyear Eagle F1 Supercar is re-nowned for excellent handling and incredible grip and control on dry roads at high speeds.This tyre is really for the speed enthuiasts out there. 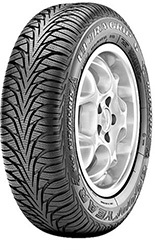 The Goodyear Eagle LS2 has been brought to the market specifically for the mid sized vehicles.Its and all season tyre that will give the driver good handling and control on the road while the tyre retains grip.You can rest assured that the Goodyear Eagle LS2 will grip the road in all conditions throughout the year. The Goodyear Eagle NCT3 tyre will give the driver a reater return on their fuel comsumption with the low level rolling resistance that the tyre benefits from. 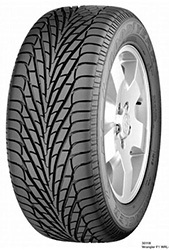 The tyre will also perform well on the road and keep the driver in ontrol with plenty of grip from the tread pattern. 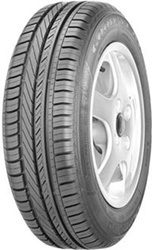 The Goodyear Eagle NCT3 is a good all round performing tyre. The Goodyear Eagle NCT5 * is an good all round performing tyre.The tread pattern has been produced with a hard compound which increases the life of the tyre, giving the driver added miles and a better return on their investment.The NCT5 * also performs well in wet and dry conditions with excellent breaking distance.The Goodyear Eagle NCT5 * will give the driver great control over the road with the added comfort when on long journeys or short commutes.The Goodyear Eagle NCT5 * has been designed for BMW vehicles. 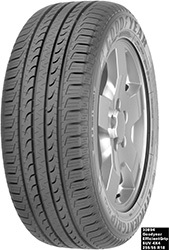 The Goodyear Eagle NCT5 Asymmetric * is an good all round performing tyre. The tread pattern has been produced with a hard compound which increases the life of the tyre, giving the driver added miles and a better return on their investment. The NCT5 Asymmetric * also performs well in wet and dry conditions with excellent breaking distance. The Goodyear Eagle NCT5 Asymmetric * will give the driver great control over the road with the added comfort when on long journeys or short commutes. The Goodyear Eagle NCT5 Asymmetric * has been developed for BMW vehicles. 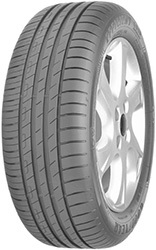 The Goodyear Eagle NCT5 EMT * is an good all round performing tyre.The tread pattern has been produced with a hard compound which increases the life of the tyre, giving the driver added miles and a better return on their investment.The NCT5 EMT * also performs well in wet and dry conditions with excellent breaking distance.The Goodyear Eagle NCT5 EMT * will give the driver great control over the road with the added comfort when on long journeys or short commutes.The Goodyear Eagle NCT5 EMT * is a run flat tyre that is specifically for BMW vehicles. 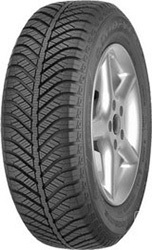 The Goodyear Eagle NCT5 is an good all round performing tyre. The tread pattern has been produced with a hard compound which increases the life of the tyre, giving the driver added miles and a better return on their investment. The NCT5 also performs well in wet and dry conditions with excellent breaking distance. The Goodyear Eagle NCT5 will give the driver great control over the road with the added comfort when on long journeys or short commutes. The Goodyear Eagle NCT5 MO is an good all round performing tyre.The tread pattern has been produced with a hard compound which increases the life of the tyre, giving the driver added miles and a better return on their investment.The NCT5 MO also performs well in wet and dry conditions with excellent breaking distance.The Goodyear Eagle NCT5 MO will give the driver great control over the road with the added comfort when on long journeys or short commutes.The Goodyear Eagle NCT5 MO is for Mercedes Vehicles. The Goodyear Eagle NCT5 MOE is an good all round performing tyre.The tread pattern has been produced with a hard compound which increases the life of the tyre, giving the driver added miles and a better return on their investment.The NCT5 MOE also performs well in wet and dry conditions with excellent breaking distance.The Goodyear Eagle NCT5 MOE will give the driver great control over the road with the added comfort when on long journeys or short commutes.The Goodyear Eagle NCT5 MOE is a run flat tyre for Mercedes vehicles. 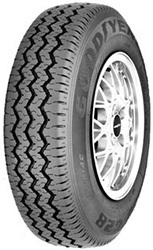 The Goodyear Eagle RS-A * tyre is a great tyre that will grip the road no matter the weather conditions.Be it snow, rain or dry raods the Eagle RS-A * will keep on performaing all year round.The RS-A * comes as a run flat as standard which means that if you get a puncture you will be able to travel upto 50 miles at speeds of no more that 50 mph.Always handy if you find yourself cought out on the road.The Goodyear Eagle RS-A * has been specially developed for BMW vehicles. 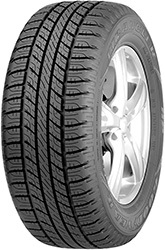 The Goodyear Eagle RS-A tyre is a great tyre that will grip the road no matter the weather conditions.Be it snow, rain or dry raods the Eagle RS-A will keep on performaing all year round.The RS-A comes as a run flat as standard which means that if you get a puncture you will be able to travel upto 50 miles at speeds of no more that 50 mph.Always handy if you find yourself cought out on the road. The Goodyear Eagle UltraGrip GW-3 * is a winter tyre that has great handling and control on the road in all seasons giving the driver precise steering and confidence on the road.The UltraGrip GW-3 * really comes into its own when the winter months kick in and temperatures drop. 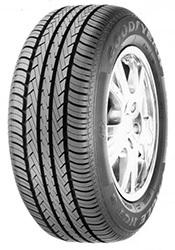 The Blade like tread grips the terrain which gives the driver the improved control and steering.The tread pattern also expells unwanted water and snow from the tread allowing the tyre to permanently get grip on the road.A good winter tyre that will kepp you safe ans secure on the road.The Goodyear Eagle UltraGrip GW-3 * has been designed for BMW vehicles. The Goodyear Eagle UltraGrip GW-3 is a winter tyre that has great handling and control on the road in all seasons giving the driver precise steering and confidence on the road.The UltraGrip GW-3 really comes into its own when the winter months kick in and temperatures drop. The Blade like tread grips the terrain which gives the driver the improved control and steering.The tread pattern also expells unwanted water and snow from the tread allowing the tyre to permanently get grip on the road.A good winter tyre that will kepp you safe ans secure on the road. The Goodyear Eagle UltraGrip GW-3 MOE is a winter tyre that has great handling and control on the road in all seasons giving the driver precise steering and confidence on the road.The UltraGrip GW-3 really comes into its own when the winter months kick in and temperatures drop. The Blade like tread grips the terrain which gives the driver the improved control and steering.The tread pattern also expells unwanted water and snow from the tread allowing the tyre to permanently get grip on the road.A good winter tyre that will kepp you safe ans secure on the road.The Goodyear Eagle UltraGrip GW-3 MOE is a run flat that is specifically for Mercedes vehicles. The Goodyear Eagle Vector 2 AO is an all season tyre that really works well all year round.No matter whether is mid summer or late winter the Eagle Vector 2 will get grip on wet and dry terrain.The unique tread will keep the driver in complete control on the road all year round. The tyre compound also gives the tread extra life which will in return give the driver extra miles and more performance for thier money.A great tyre that keeps you safe all year round.The Goodyear Eagle Vector 2 AO has been developed specicially for Audi vehicles. The Goodyear Eagle Vector 2 is an all season tyre that really works well all year round.No matter whether is mid summer or late winter the Eagle Vector 2 will get grip on wet and dry terrain.The unique tread will keep the driver in complete control on the road all year round. The tyre compound also gives the tread extra life which will in return give the driver extra miles and more performance for thier money.A great tyre that keeps you safe all year round. The Goodyear EfficientGrip Performance tyre is renowned for its great performance in wet conditions.To add to this its breaking distance is fantastic.Its one of the best all round tyres on the market today.This partnered up with with low fuel consumption will really add to this tyres performance.This tyre is also available as a run flat in certain sizes. 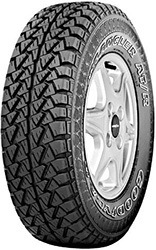 The Goodyear EfficientGrip SUV is a 4x4 tyre that will not only save you on fuel but will also provide you with shorter breaking distances.The tyre technology used in this tyre will come in the form of improved handling and precision steering.As well as all of the above this a long lasting tyre, meaning it will perform for miles upon miles.This is a summer road tyre for 4x4's so its not going to be the best winter off-road tyre. 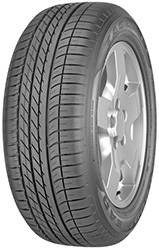 The Goodyear EffiecientGrip * tyre is great performing tyre that keep the bills low as it has fuel saving attributes. 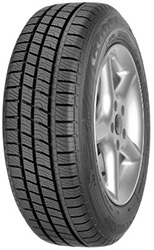 The tyre is reputed for having a long shelf life and performs well in wet conditions in comparison to other tyres on the market.The Goodyear EffiecientGrip * also has a shorter braking distance than most on wet and dry roads and the driving will benefit from smooth handling with a quiet ride.This tyre is also available as a run flat in various sizes.The Goodyear EffiecientGrip *has been specifically designed for BMW's. 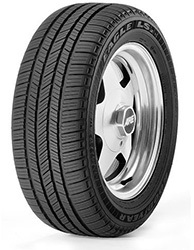 The Goodyear EffiecientGrip AO tyre is great performing tyre that keep the bills low as it has fuel saving attributes. 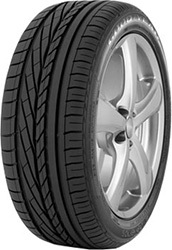 The tyre is reputed for having a long shelf life and performs well in wet conditions in comparison to other tyres on the market.The Goodyear EffiecientGrip AO also has a shorter braking distance than most on wet and dry roads and the driving will benefit from smooth handling with a quiet ride.This tyre is also available as a run flat in various sizes.The Goodyear EffiecientGrip AO has been brought to the market for the Audi range. 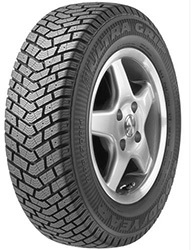 The Goodyear EffiecientGrip AOE tyre is great performing tyre that keep the bills low as it has fuel saving attributes. 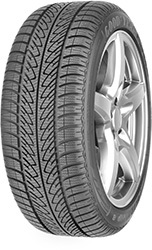 The tyre is reputed for having a long shelf life and performs well in wet conditions in comparison to other tyres on the market.The Goodyear EffiecientGrip AOE also has a shorter braking distance than most on wet and dry roads and the driving will benefit from smooth handling with a quiet ride.This tyre is also available as a run flat in various sizes.The Goodyear EffiecientGrip AOE tyre has been designed for Audi vehicles. 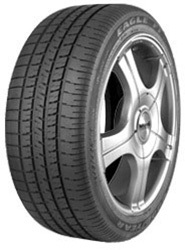 The Goodyear EffiecientGrip MO tyre is great performing tyre that keep the bills low as it has fuel saving attributes. 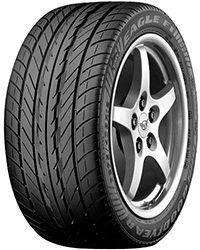 The tyre is reputed for having a long shelf life and performs well in wet conditions in comparison to other tyres on the market.The Goodyear EffiecientGrip MO also has a shorter braking distance than most on wet and dry roads and the driving will benefit from smooth handling with a quiet ride.This tyre is also available as a run flat in various sizes.The Goodyear EffiecientGrip MO has been specifically developed for Mercedes vehicles. The Goodyear EffiecientGrip tyre is great performing tyre that keep the bills low as it has fuel saving attributes. 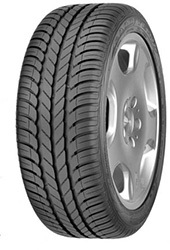 The tyre is reputed for having a long shelf life and performs well in wet conditions in comparison to other tyres on the market.The Goodyear EffiecientGrip also has a shorter braking distance than most on wet and dry roads and the driving will benefit from smooth handling with a quiet ride.This tyre is also available as a run flat in various sizes. The Goodyear Excellence - Ultra Low Rolling Resistance is known as the three in one tyre.With exceptional performance, brilliant handlings and a smooth quiet ride what else would you want from a tyre.The Excellence performs very well in wet and dry conditions.It really is a tyre that will perform to a very high standard.This tyre is available as a Run flat tyre.The Goodyear Excellence - Ultra Low Rolling Resistance tyre as the name suggests has added technology to reduce the level of rolling resistance.This gives the driver extra miles for the money. The Goodyear Excellence * is known as the three in one tyre.With exceptional performance, brilliant handlings and a smooth quiet ride what else would you want from a tyre.The Excellence performs very well in wet and dry conditions.It really is a tyre that will perform to a very high standard.This tyre is available as a Run flat tyre. 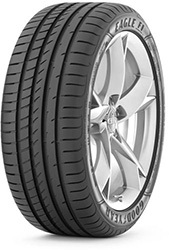 The Goodyear Excellence * has been designed specifically for BMW vehicles. The Goodyear Excellence AO is known as the three in one tyre.With exceptional performance, brilliant handlings and a smooth quiet ride what else would you want from a tyre.The Excellence performs very well in wet and dry conditions.It really is a tyre that will perform to a very high standard.This tyre is available as a Run flat tyre.The Goodyear Excellence AO has been developed for Audi Vehicles. 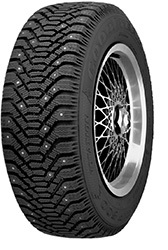 The Goodyear Excellence is known as the three in one tyre.With exceptional performance, brilliant handlings and a smooth quiet ride what else would you want from a tyre.The Excellence performs very well in wet and dry conditions.It really is a tyre that will perform to a very high standard.This tyre is available as a Run flat tyre. The Goodyear Excellence MO is known as the three in one tyre.With exceptional performance, brilliant handlings and a smooth quiet ride what else would you want from a tyre.The Excellence performs very well in wet and dry conditions.It really is a tyre that will perform to a very high standard.This tyre is available as a Run flat tyre.The Goodyear Excellence MO has been developed for Mercedes vehicles. The Goodyear Excellence MOE is known as the three in one tyre.With exceptional performance, brilliant handlings and a smooth quiet ride what else would you want from a tyre.The Excellence performs very well in wet and dry conditions.It really is a tyre that will perform to a very high standard.This tyre is available as a Run flat tyre.The Goodyear Excellence MOE has been developed for Mercedes vehicles. The Goodyear Excellence N0 is known as the three in one tyre.With exceptional performance, brilliant handlings and a smooth quiet ride what else would you want from a tyre.The Excellence performs very well in wet and dry conditions.It really is a tyre that will perform to a very high standard.This tyre is available as a Run flat tyre.The Goodyear Excellence N0 is a Porsche specific tyre. The Goodyear G90 has been designed for military machinery.This is a true heavy hitting performer that will make light work of mud, sand, grass and rocky terrain.If you have a military vehicle or are after a serious 4x4 tyre then the G90 will do everything you want it to do and more.The wide tread pattern helps the tyre to expell mud, rocks and gravel easily, increasing the grip and performance of the tyre. 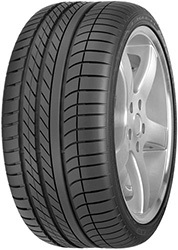 The Goodyear GT-2 tyre has been brought to the market for city cars.The tyre boasts a comfortable ride that will perform well in both wet and dry conditions.The GT-2 tyre tread has been formulted to give the driver extra miles and increased safety on the road.The GT-2 would be a good option for any driver who often commutes around the city. The Goodyear GT-3 tyre has excellnt dry and we grip on the road, while giving the driver a good control and feel when driving.The GT-3 aslo boasts a comfortable ride and low level of wear and tear.The GT-3 is an excellent all season tyre that will give the driver great confidence when on the road. The Goodyear Marathon come from the Van and Light truck range from Goodyear.As the name suggests the Goodyear Marathon will keep on performing mile after mile.The tread on the tyre has been made from a silica compound that will grip the road in both wet and dry conditions.The Goodyear Marathon will really performvery well in wet conditions.The Goodyear Marathon has unique tread grooves that dispell water from the tread which enhances its performance when conditions on the road are far from perfect.The Goodyear Marathon also has exceptional handling which will keep the driver confident in any weather when on the road. The Goodyear OptiGrip is an excellent all weather tyre.With exceptional performance in the wet the OptiGrip will never let you down. 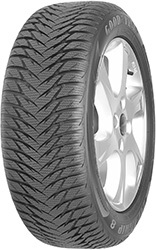 The handling and responsiveness of the tyre are great and the braking distance is much better than a lot of the competition on the market today.If you are looking for a high performance wet and dry weather tyre that has great handling and a comfortable ride then the OptiGrip is the tyre that wont let you down. The Goodyear Silent Armor is a rugged 4x4 tyre that has Kevlar added to the construction of the tyre to give it the robustness to take on all terrains and obstacles as well as providing the driver with a smooth and comfortable road drive. The Goodyear Silent Armor has excellent grip in wet and dry conditions and has no problems tackling extreme off road.The unoque technology added to the tyre reduces the chances of cuts and punctures when out and about. The Goodyear UltraGrip 500 is a true winter tyre.This tyre can handle the most extreme weather and keep you safe and secure on the road.The tread has been specially designed to hold grip and traction on snow and ice.The control and handling from the tyre is also fantastic due to the directional tread pattern on the tyre.The Goodyear UltraGrip 500 is a studded tyre that performs when others simply fail.A true extreme performer. 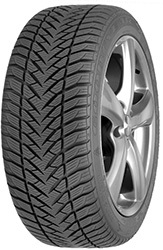 The Goodyear UltraGrip 6 is a high performance winter tyre that has excellent performance all round.No matter the weather the UltraGrip 6 will perform brilliantly on wet and dry roads.The UltraGrip 6 also boasts a short braking distance and increased control on the road.The tyre will wear well giving the driver extra miles for their money.All in a great tyre with a strong performance. 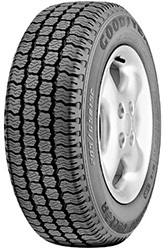 The Goodyear UltraGrip 7+ * is an all weather tyre that is at home on the wet and dry as it is on the snow and ice.The unique tread pattern allows the tyre to easily steer through any sluch, snow or ice giving the driver excellent grip and control over the road and vehicle.As the temperature drops the performance of the tyre increases.The tyre tread compound will gain more traction on the road and keep the driver safe from any unwanted lack of grip.All in all the Goodyear UltraGrip 7+ * is an epic tyre that really gets going when the winter months kick in.The Goodyear UltraGrip 7+ * has been especially developed for BMW vehicles. The Goodyear UltraGrip 7+ is an all weather tyre that is at home on the wet and dry as it is on the snow and ice.The unique tread pattern allows the tyre to easily steer through any sluch, snow or ice giving the driver excellent grip and control over the road and vehicle.As the temperature drops the performance of the tyre increases.The tyre tread compound will gain more traction on the road and keep the driver safe from any unwanted lack of grip.All in all the Goodyear UltraGrip 7+ is an epic tyre that really gets going when the winter months kick in. 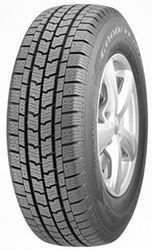 The Goodyear UltraGrip 7+ MO is an all weather tyre that is at home on the wet and dry as it is on the snow and ice.The unique tread pattern allows the tyre to easily steer through any sluch, snow or ice giving the driver excellent grip and control over the road and vehicle.As the temperature drops the performance of the tyre increases.The tyre tread compound will gain more traction on the road and keep the driver safe from any unwanted lack of grip.All in all the Goodyear UltraGrip 7+ MO is an epic tyre that really gets going when the winter months kick in.The Goodyear UltraGrip 7+ MO tyre has been developed for Mercedes vehicles. The Goodyear UltraGrip 8 Is a winter tyre that will deliver. 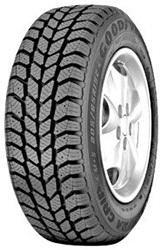 With top notch snow traction this tyre will get you pretty much most places in all conditions.This added with shorter breaking distance and imporved handling makes for a very good performing tyre. The UltraGrip 8 also has added aquaplaning technology to help you through those wet times.This tyre also comes as a run flat tyre in certain sizes. The Goodyear UltraGrip 8 MS Is a winter tyre that will deliver. 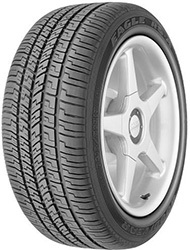 With top notch snow traction this tyre will get you pretty much most places in all conditions.This added with shorter breaking distance and imporved handling makes for a very good performing tyre. The UltraGrip 8 MS also has added aquaplaning technology to help you through those wet times.This tyre also comes as a run flat tyre in certain sizes.The Goodyear UltraGrip 8 MS is an excellent tyre that will see you through the worse conditions on the road. The Goodyear UltraGrip 8 MS Is a winter tyre that will deliver. With top notch snow traction this tyre will get you pretty much most places in all conditions.This added with shorter breaking distance and imporved handling makes for a very good performing tyre. The UltraGrip 8 MS also has added aquaplaning technology to help you through those wet times.This tyre also comes as a run flat tyre in certain sizes.The Goodyear UltraGrip 8 MS is an excellent tyre that performs when the going gets tough. The Goodyear UltraGrip 8 Performance is relatively new to the tyre market and has all the attributes of the UltraGrip 8 but with added va va voom! You can expect great handling in snow, wet and dry conditions.This tyre also performs well on the ice.The new design has made this tyre even more for fuel effiecient and again has the added aquaplaning technology.This is a winter tyre that will really perform when the going gets tough. The Goodyear UltraGrip Performance * is a great ultra high performance tyre. 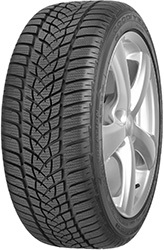 You can expect great handling in snow, wet and dry conditions.This tyre also performs well on the ice.The new design has made this tyre even more for fuel effiecient and again has the added aquaplaning technology.This is a winter tyre that will really perform when the going gets tough.The Goodyear UltraGrip Performance * is specifically designed for BMW vehicles. The Good year UltraGrip Performance 2 * is a winning tyre - tested amongst other tyres and coming up top trumps as a high performance tyre, this tyre really is a great perfromer. With excellent grip on wet and dry roads and extra aquaplaning technology you can rest assured that you are in for a safe, secure and comfy journey riding on the UltraGrip Performace 2 *. This tyre is also available as a run flat. The Good year UltraGrip Performance 2 * has been developed for BMW vehicles. The Good year UltraGrip Performance 2 is a winning tyre - tested amongst other tyres and coming up top trumps as a high performance tyre, this tyre really is a great perfromer. With excellent grip on wet and dry roads and extra aquaplaning technology you can rest assured that you are in for a safe, secure and comfy journey riding on the UltraGrip Performace 2. This tyre is also available as a run flat. The Good year UltraGrip Performance 2 MS is a winning tyre - tested amongst other tyres and coming up top trumps as a high performance tyre, this tyre really is a great perfromer. With excellent grip on wet and dry roads and extra aquaplaning technology you can rest assured that you are in for a safe, secure and comfy journey riding on the UltraGrip Performace 2 MS. This tyre is also available as a run flat. The Good year UltraGrip Performance 2 MS is an exceptional tyre that performs partcularly well in the Mud and Snow hence the MS. The Goodyear UltraGrip Performance is a great ultra high performance tyre. You can expect great handling in snow, wet and dry conditions.This tyre also performs well on the ice.The new design has made this tyre even more for fuel effiecient and again has the added aquaplaning technology.This is a winter tyre that will really perform when the going gets tough. The Goodyear UltraGrip SUV tyre performs all year round.This tyre will take you through the winter and all the snow and ice the season can throw at it and come out ready to perform through the summer on dirt and gravel.With superb grip on all terrains and condition Combined with excellent handling and stability this tyre gives back what you expect to recieve for a top end Goodyear tyre. 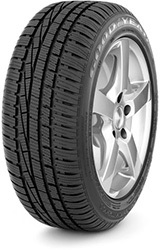 The Goodyear Vector 4Seasons will have you confident all year round.With better handling in the wet and dry conditions and exceptional grip throughout all the seasons.The tyre is not only friendly on the environment but all on your pocket as you will have no reason to buy out for specific summer or winter tyres. The Goodyear Vector 5 is a brilliant all season tyre that will perform well in all conditions.Not a specific summer or winter tyre this tyre is a hybrid of the two with positive features that help the tyre act as it should in all conditons. This tyre is a cost effective way to running your car all year round. 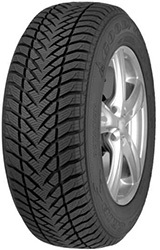 The Goodyear Vector 5+ is a brilliant all season tyre that will perform well in all conditions. 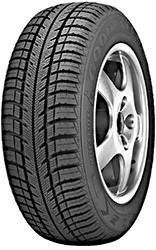 Not a specific summer or winter tyre this tyre is a hybrid of the two with positive features that help the tyre act as it should in all conditons. This tyre is a cost effective way to running your car all year round. The Goodyear Vector 5+ MS is a brilliant all season tyre that will perform well in all conditions. 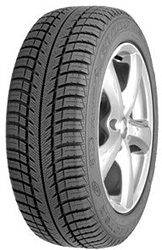 Not a specific summer or winter tyre this tyre is a hybrid of the two with positive features that help the tyre act as it should in all conditons. This tyre is a cost effective way to running your car all year round. The Goodyear Wrangler AT/R on and off road tyre that will give the driver excellent grip no matter what terrain it is on.With a solid performance on wet and dry terrains the tyre keeps the driver in complete comtrol.A truly epic tyre that takes on the worst and comes out in victory.The tread pattern also reduces the risk of aquaplaning in wet conditions. 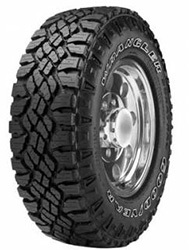 The Goodyear Wrangler AT/S is a rugged tyre that will be at home on or off the road.The tread pattern enables the tyre to gain grip in all conditons, no matter if its snow, ice, mud or sand.If you want a tyre that has great handling and grip then the Goodyear Wrangler AT/S is the tyre for you. The Goodyear Wrangler DuraTrac is one hell of a tyre.With the looks that could destroy any terrain, this tyre is one for the off road enthusiast.The Wrangler DuraTrac offers great traction in heavy snow and deep mud as well as performing to a high standard on gravel and dirt.This tyre has added wheel rim protection, which does exactly what it says it does; Protects your rims!If its a versatile tyre that performs for your 4x4 off road then this tyre has all the looks and performance one would want. 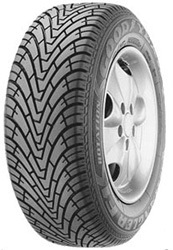 The Goodyear Wrangler F1 is a 4x4 tyre that boasts excellent performance on the road.The directional tread pattern enables the tyre to dispell any water from the tread and increases the grip of the tyre on the road.The Goodyear Wrangler F1 also has very good hanling no matter if its on a wet or dry road.This gives the driver complete control and confidence on the road at all times. The Goodyear Wrangler HP All Weather tyre has the technology and assets to take you through demanding terrain all year round.With intense grip in wet, snow and icy conditions this tyre really will out perform most other "all terrain" tyres.With the added aquaplaning technology you can be confident that this tyre won't let you down in any situation. This tyre is also available as a run flat tyre. The Goodyear Wrangler HP DuraTrac is one hell of a tyre.With the looks that could destroy any terrain, this tyre is one for the off road enthusiast.The Wrangler DuraTrac offers great traction in heavy snow and deep mud as well as performing to a high standard on gravel and dirt.This tyre has added wheel rim protection, which does exactly what it says it does; Protects your rims!If its a versatile tyre that performs for your 4x4 off road then this tyre has all the looks and performance one would want. 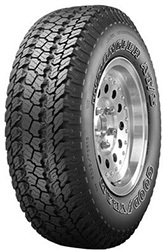 The Goodyear Wrangler is a great performing 4x4 tyre that has the ability to perform on all terrains.With advanced puncture resistance you will feel confident on all roads.This tyre also performs very well in wet and muddy conditions.It will take you through any mud bath with ease.If ts a high performance 4x4 all season tyre that delivers then look no further. The Goodyear Wrangler MT/R is by all accounts one of the most ultimate 4x4 tyres on the market today. This tyre will take you anywhere and over anything. The tyres construction is robust ans solid, you can see this when you see it in action. The tread pattern on the tyre is block design which will grip any terrain and take you over obstacles with ease. 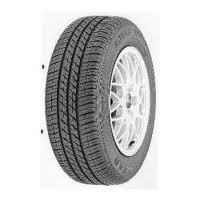 The sidewalls of the tyre have been strengthened to give the tyre better handling and support on and off road. If you need an extreme tyre that will never let you down look no further than the Goodyear Wrangler MT/R. The Goodyear Wrangler MT/R Kevlar is by all accounts one of the most ultimate 4x4 tyres on the market today. This tyre will take you anywhere and over anything. The tyres construction is robust ans solid, you can see this when you see it in action. The tread pattern on the tyre is block design which will grip any terrain and take you over obstacles with ease. 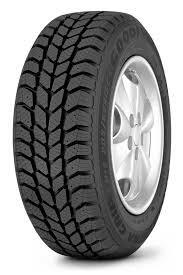 The sidewalls of the tyre have been strengthened to give the tyre better handling and support on and off road. If you need an extreme tyre that will never let you down look no further than the Goodyear Wrangler MT/R. The Goodyear Wrangler MT/R Kevlar have Kevlar added to reinforced the sidewalls of the tyre making them even more robust. 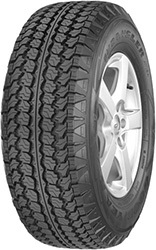 The Goodyear Wrangler UltraGrip is a winter tyre that comes with excellent on and off road performance.The tyre will perform just as well in the snw and ice as it will in the mud and wet.The tread pattern helps the tyre to dispell any unwanted water, mud, snow and maintain grip on the terrain.If you want a winter tyre that will keep you in control and safe & secure on and off the road the Goodyear Wrangler UltraGrip is a great option. The Wrangler AT/SA is a great performing 4x4 tyre that has the ability to perform on all terrains.With advanced puncture resistance you will feel confident on all roads.This tyre also performs very well in wet and muddy conditions.It will take you through any mud bath with ease.If ts a high performance 4x4 all season tyre that delivers then look no further.